This VIS image shows part of the 'rim' of Orcus Patera. How Orcus Patera formed is a mystery. 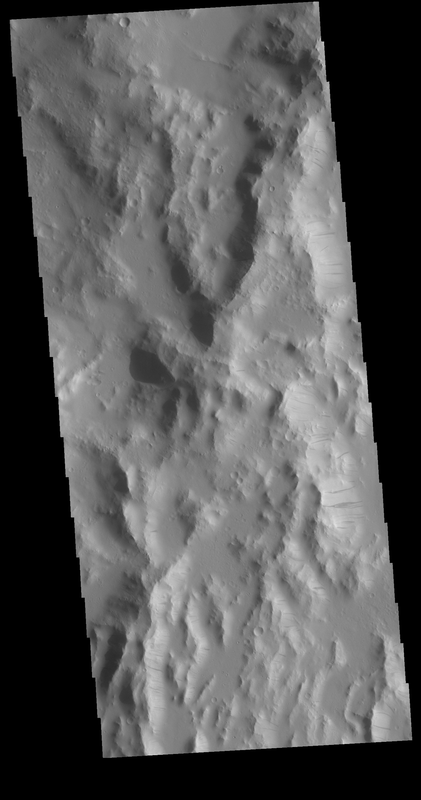 Along the east facing ridge walls in this image multiple regions of dark slope streaks are visible. It is believed these features formed due to down slope movement of materials, either revealing darker rock beneath a dusty cover, or a coating of the surface with another material.